Introduction of the new Power price plan: fast charging for the same price as charging at home (19ct/kWh). 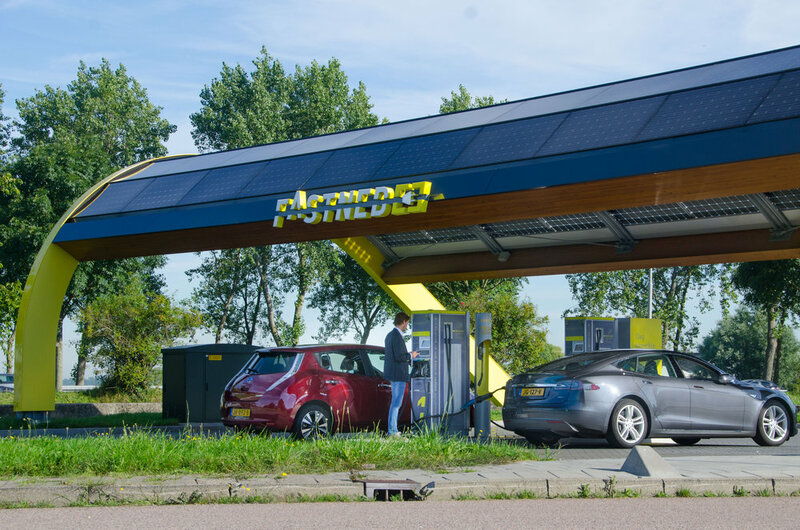 Fastned signed an agreement with the largest Volkswagen dealer of the Netherlands (Van den Udenhout), offering 1 year of Fastned charging with every new full electric e-Golf. 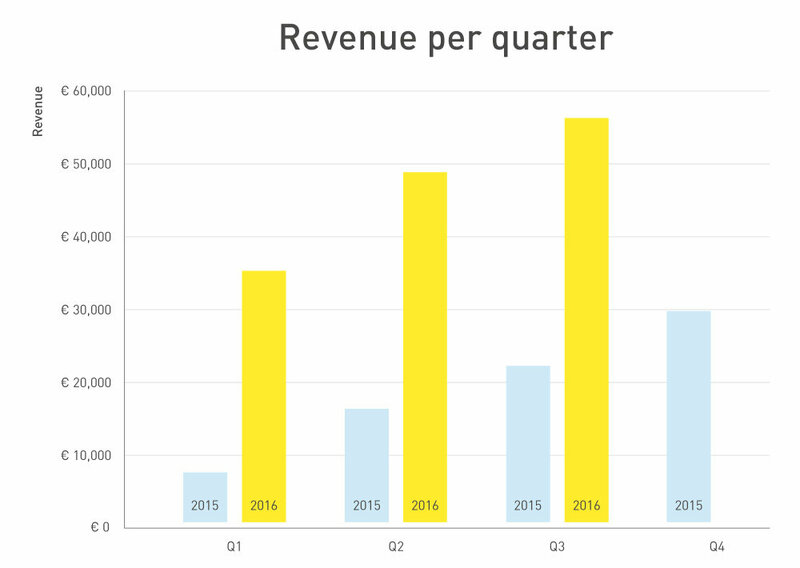 In Q3 2016, Fastned continued to grow rapidly. 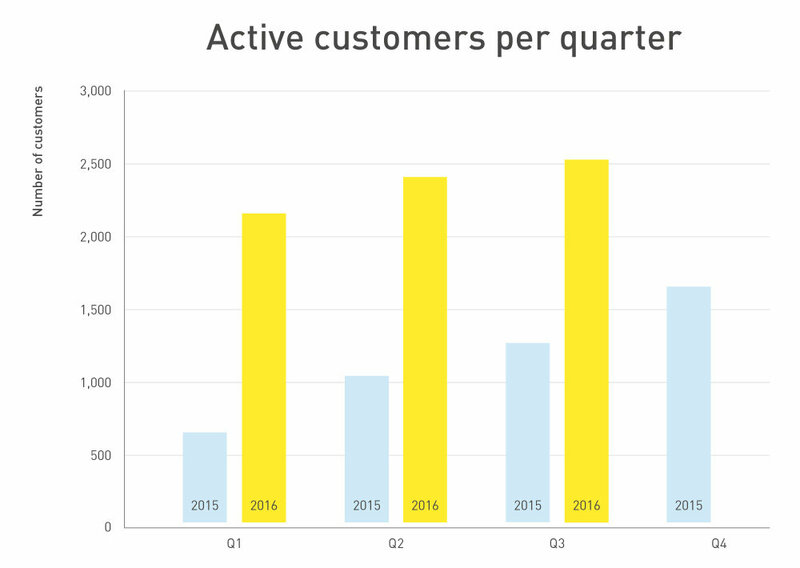 The number of active customers (defined as individual customer that charged at least once in this particular quarter) grew to 2,526. Revenue grew with 153% to EUR 56,180, while volume grew with 216% to 116,919 kWh sold. 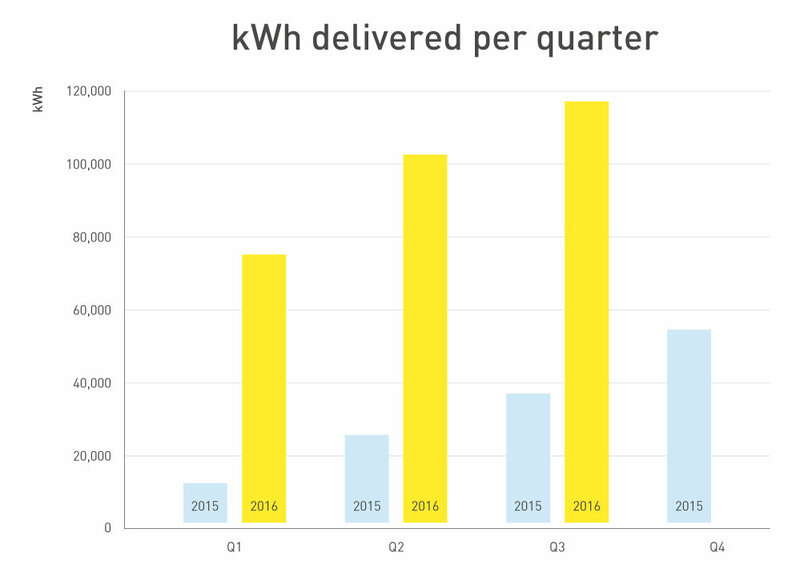 Fastned continued to outpace the growth of the overall market for electric vehicles (approximately 30% YoY, exact figures still to be published by the RvO). This growth was achieved by adding new stations as well as a higher utilisation per station compared to Q3 2015. The introduction of the new Power price plan was well received and many customers have opted for this in Q3 2016. This has had a positive effect on both our volume and revenue. Unfortunately, part of Q3 2016 one of our top stations (De Andel) was temporarily unaccessible because of a fire destroying a nearby gas station. Today approximately 12,000 full electric vehicles are on the road in the Netherlands. We are confident that improved tax incentives, stricter emission regulations, and the introduction of EVs with more range will further improve market conditions in the months ahead. In the coming quarter EVs like the new Renault ZOE and the new Volkswagen e-Golf. In the next few months deliveries will start of the new Renault ZOE and the new Volkswagen e-Golf. Next year, completely new long range EVs like the Opel Ampera-e and the Tesla Model 3 are expected. Furthermore, from January 1st 2017, the tax regime for full electric vehicles improves dramatically relative to cars with combustion engines (including PHEVs).